Choose from a variety of tile inserts to create a style that is uniquely yours. And you thought you needed a good excuse to enjoy wine? 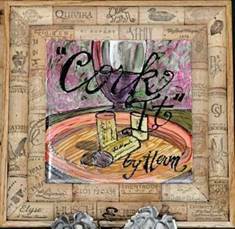 Save your wine corks because we have frames available for all of our products so you can create your own masterpiece! Fun and decorative ways to put wine corks to new use. We have a variety of products to choose from, as well as custom designs.